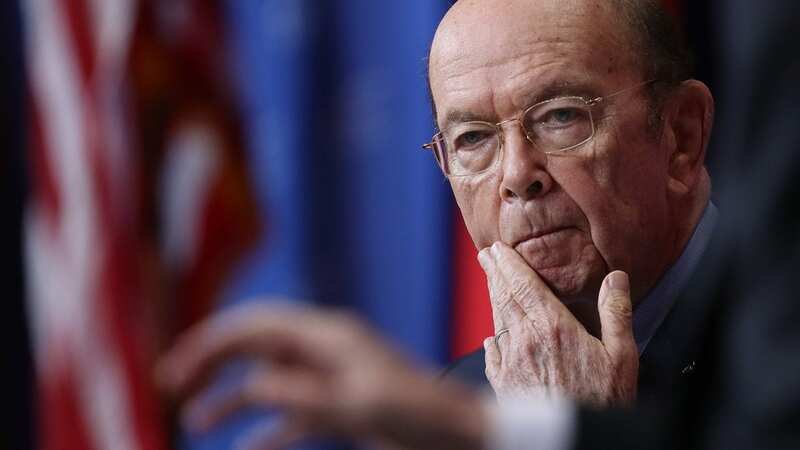 The email was among the more than 2,400 pages of internal documents the Trump administration filed in federal courts Monday as part of the lawsuits against Ross’ addition of a controversial citizenship question to the 2020 census. NPR has filed Freedom of Information Act requests for similar documents. The court filing also includes census-related articles by NPR and other news organizations compiled by federal agency press offices. The Commerce Department and the Census Bureau are facing six lawsuits from more than two dozen states and cities, plus other groups, that want the question removed. While that legal fight plays out, some Republicans are pushing for the exclusion of unauthorized immigrants from population counts used to determine how many congressional seats and Electoral College votes each state gets. Rep. Mo Brooks, R-Ala., and the state of Alabama are suing the Census Bureau for its long-standing policy of counting every person living in the U.S. — regardless of immigration status — for the census. Census Bureau research suggests that asking about citizenship status may discourage noncitizens from participating in the upcoming national head count. That could jeopardize the accuracy of the 2020 census and leave lasting impacts on countless government decisions in the decade after the next national head count. From reapportioning congressional seats and redrawing legislative districts to distributing an estimated $800 billion a year in federal funds, the population counts from the census are key. Ross, who oversees the census, approved adding the new citizenship question in late March, after testifying at a House Ways and Means Committee hearing that the Justice Department “initiated the request” for the question in a December 2017 letter to the Census Bureau. Ross says the Justice Department needs responses to the question to better enforce the Voting Rights Act’s provisions against racial discrimination. “It now appears that the idea of adding the citizenship question originated with Secretary Ross, not the Department of Justice and that its origins long predated the December 2017 letter from the Justice Department,” Judge Jesse Furman said in Manhattan federal court during a hearing on July 3, when he ordered the Commerce Department and Justice Department to release more internal documents about the citizenship question. Furman cited Ross’ recent admission that he started considering adding a citizenship question “soon after” his February 2017 confirmation as commerce secretary and that he and his staff asked the DOJ whether it would submit a request for the question — a request he would later approve. The Commerce Department spokesperson did not directly respond to NPR’s inquiries about the “months old request” for a citizenship question that Ross was referring to in his May 2017 email — more than seven months before the Justice Department formally submitted its request. Still, Vanita Gupta — president and CEO of The Leadership Conference on Civil and Human Rights and a critic of the citizenship question whom Ross consulted before announcing his decision — says she is concerned about the inconsistency between Ross’ congressional testimony and the timing of events suggested by the released internal documents. Other emails released Monday suggest that from their early days at the Commerce Department, Ross and his staff were determined to use the census to ask about citizenship status — a topic that the Census Bureau has not asked all U.S. households about since 1950. Ross expressed special interest in learning about the citizenship question that has long been asked of a sample of households for the Census Bureau’s American Community Survey, as well as about the process for adding questions to census forms. A Justice Department spokesperson, Devin O’Malley, declined comment on the newly released emails. In an email to Ross chief of staff Wendy Teramoto, the acting head of the Justice Department’s civil rights division, John Gore, appears to refer to the citizenship question request as “a DOJ-DOC issue.” A few months ago, Gore represented the Justice Department at a House hearing on the citizenship question, when he dodged many inquiries from lawmakers by citing the DOJ’s role in representing the Trump administration in ongoing lawsuits about the question. Previously-released emails revealed that Kansas Secretary of State Kris Kobach — the former co-chair of President Trump’s now-defunct commission on voter fraud — contacted Ross by phone about adding a citizenship question “at the direction of Steve Bannon,” the former White House strategist, a few months before writing a July 2017 email to Teramoto. A spokesperson for Bannon did not immediately respond to NPR’s request for comment. The Trump administration is expected to release more documents from the Commerce and Justice Departments later this week. “Although DOJ and DOC attorneys have been working diligently, including through the weekend, to make a complete production [by Monday], the volume of documents is larger than anticipated,” the government’s attorneys wrote in their request to extend the filing deadline until Thursday, which Judge Furman approved. “No further extensions will be granted,” Furman noted in his order.